The software extracts MBOX files in more than one file format. 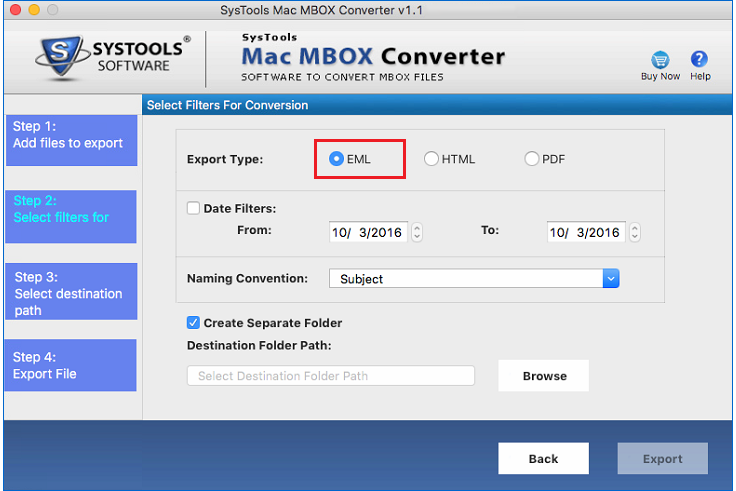 Using MBOX to PST converter you can convert your MBOX file into multiple formats like EML, MSG, PST and NSF. It allow you to share separate emails easily with your friends or colleagues after extraction. 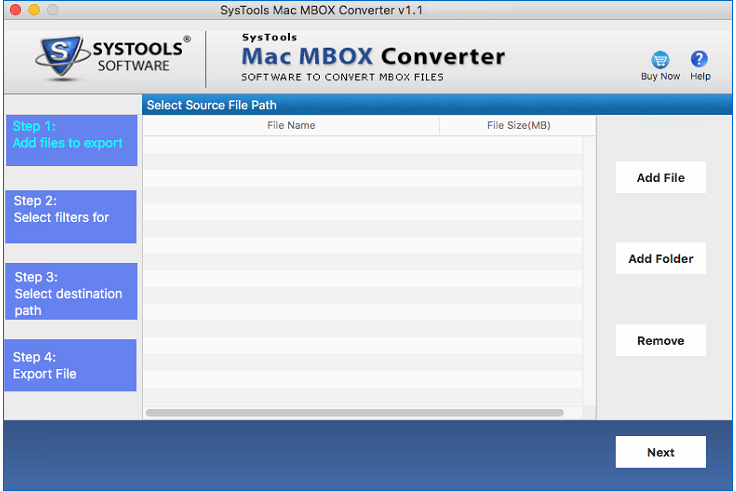 This Converter tool supports multiple types of MBOX files like: .mbx, .mbox, etc. that are without extension .mbox. MBOX is the default file formats of email clients like Mozilla Thunderbird, Netscape, Apple Mail, Eudora, Spice Bird & PocoMail etc. You can extract your downloaded Gmail data (in MBOX format) by converting it to Outlook PST. You can save backup of your Gmail data using Google Takeout, if you haven't used it then go for Gmail Backup Software. You can extract selective data items (emails, folders etc.) from MBOX to PST & other file formats. You just need to select those data items which you want to convert. You can see data items for selection after scanning of MBOX file. 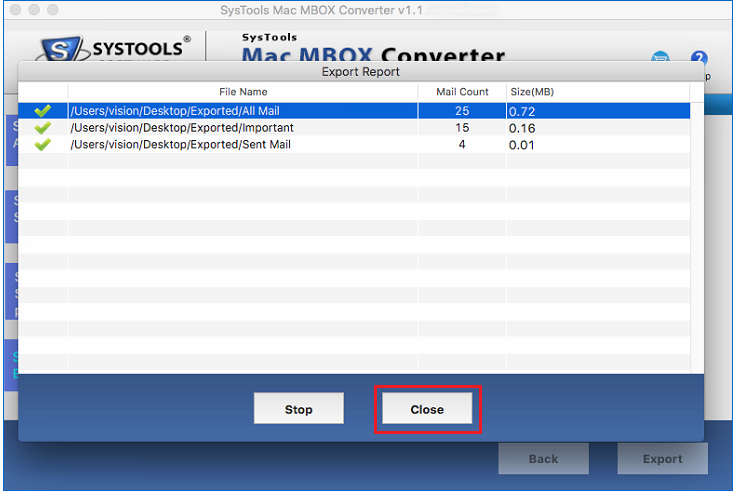 MBOX to Outlook Converter allows you to convert emails in MSG & EML file formats and save your output files according to different naming formats like: save as auto increment, dd/mm/yyyy, mm/dd/yyyy and subject wise etc. It allows you to extract MBOX file and during conversion the output PST can be divided in smaller PST files (MBs or GBs). You just need to select split output (only PST file) option before going for MBOX file conversion. 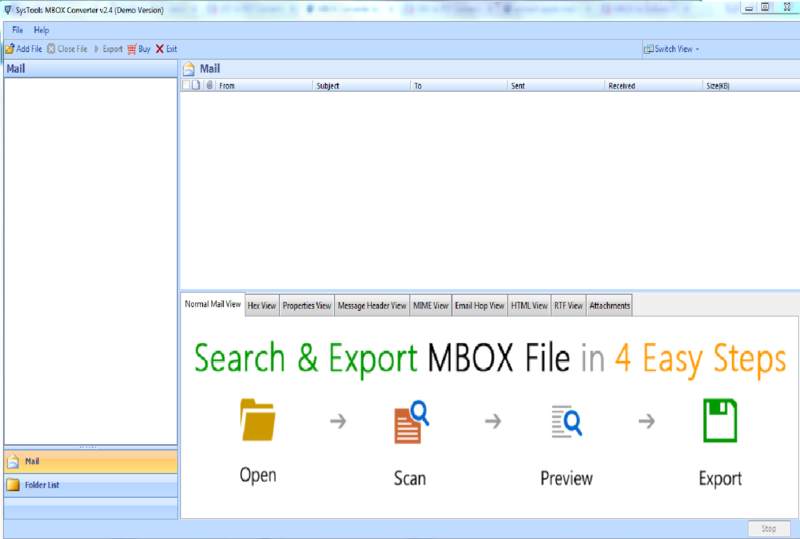 Mbox to Outlook converter software detects MBOX file automatically in case MBOX supporting email clients are installed. In case the email client is not installed, the user needs to browse the MBOX file manually. MBOX file extractor software generates report after file conversion. It allows to save the report in CSV or HTML file format locally on your computer and any other remotely connected machine. The software does not impose any restrictions on extraction of MBOX files to PST if Outlook is not installed. It is independent of Outlook to perform conversion. It also allows you to convert MBOX files without the client installation. MBOX to Outlook converter gives you flexible options if you are switching from Apple Mail to MS Outlook email client. It provides you the facility to extract your MBOX Apple Mail data items to Outlook PST file. MBOX is a generic term to represent email message file format. MBOX file format is supported by more than 20 email client applications like: Mozilla Thunderbird, Apple Mail, Eudora, PocoMail, Entourage etc. MBOX messages are in form of simple plain text and all the messages are stored in concatenated form and stored in a single MBOX file. Each message in a MBOX file starts with the header information with five characters having "from" and then space and then sender's email id. The messages in the MBOX file are distinguished by adding a blank line. MBOX electronic mail messages started with sixth version of Unix Operating System. Email message format was never standardized by RFC and that's why email message format mostly depends on the developer. MBOX file was popular because of its simplicity of being accessed by text editors and it was easily readable by most of email client. MBOX files are not accessible in MS Outlook email client as it supports PST file format. To overcome this problem you need a converter to extract MBOX files to PST format. MBOX to PST converter provides you the facility to convert MBOX file into PST and then it will be accessible in MS Outlook. Why Mbox to PST converter should be used? Awsome! product designed by EmailDoctor. It helps me to convert MBOX / MBX emails to MS Outlook. Hey! I want to access my PST file in Mozilla Thunderbird. But since PST is not supported in Thunderbird can I convert my data from MBOX to Outlook PST without installation of MS Office? Yes, you can. MBOX to Outlook software doesn't require Outlook installation on your PC for extraction. Hi, this is Mark, I want an answer of my query. I have multiple Thunderbird files; the first type of files is having .msf extension and other type of files aren't having any extension. I am confused that which files are having my data and how can I get it back? Hi Mark, your actual data is in those files which are without any extension and other type of files are having header. You can get your data back by using this software by just a few clicks. Get more details. I have multiple MBOX stored in my computer and I face problems in accessing MBOX files, which are stored at many different locations. Can I merge my all MBOX files into one PST file? Yes, you can merge your all MBOX files and convert into a single PST file, which will be accessible in MS Outlook. MBOX email extractor has really good features for conversion of files. Once I deployed this tool I started loving it, because it allows me to convert MBOX files into multiple output file formats like PST, EML, MSG and NSF that are accessible in multiple email clients. I was unable to access Thunderbird MBOX file data in Outlook and I was confused about how can I get my emails converted while maintaining the same structure. Then I searched on Google about Thunderbird files conversion and I got this MBOX Extractor and it automatically detected all MBOX files and converted into PST with same structure. It's really an intelligent tool for conversion. Migrate complete mailbox data from .mbox email folders to multiple file formats in bulk. Export Mac MBOX to PST, EML, HTML and PDF format with attachments in a Mac computer. Use the Add File option to import a single .mbox file or multiple files one at a time. Or use the Add Folder option to upload a folder containing multiple MBOX files. Move emails from .mbox storage to multiple individual message files in .eml format. Use the tool to extract emails from MBOX file to multiple files of a single email. Create a separate folder for each mbox file and its corresponding EML files. During the transfer, all email properties like cc, to, sender details, receive date is not affected. Take mailbox email data from a .mbox file and save it in a portable document format. This file can be used to transfer email file to another computer across platforms. The other computer can be using Windows, Mac or Linux operating system. Set margin for all the output file and adjust paper orientation according to choice. Optional internet message header inclusion. Use the MBOX Converter to move data from a .mbox email file to a browser-based HTML format. View email data by opening individual messages through any browser. Multiple .html files will be created for each email file. The reliable and relevant software provides a complete report of export process in a CSV file. Option to apply a date based filter to emails for selective conversion. This will save time and prevent any needless conversion on mailbox data. A time period is set to ‘Received Date’ for emails by choosing a ‘to’ and ‘from’ dates. A live status report is generated by the tool containing the file name, file size, email count, fail count and the file size. The Mac MBOX File Converter software maintains data integrity and formatting of emails. There is also an option to forgo folder hierarchy altogether. This can save time when migrating multiple large .mbox files. By default, the utility ensures that each email file is found in the same exact folder as in the original file. 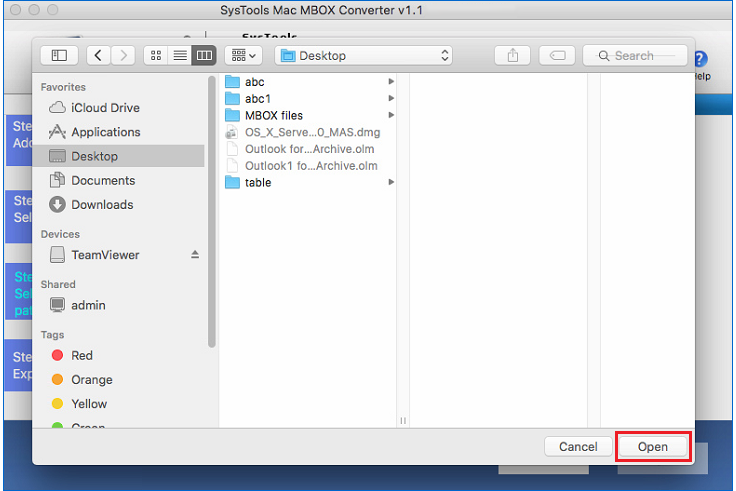 Choose from different ways to names the output files using the Mac MBOX Converter. The Naming Convention option provides a facility to name exported files based on their subject and their received date. One can also choose Auto-increment from the drop down box to assign a serial number to each file. The tool supports all latest versions of Macintosh operating systems including Mac OS10.10 and above. There is no data loss during transfer. A complete status report is generated at the end of the export process containing Mailbox path and the Mail Count. Refer to it in future to get information about the migration process. Complete Mailbox support:A .mbox file can only save email files whereas a .pst file contains all personal information like emails, contacts, calendar, notes, journals, tasks etc. Outlook Preference: Many find added features of additional security and cloud support with MS Outlook. Some of these facilities are not available to email clients that support MBOX format like Thunderbird, Eudora, Spice Bird etc. Hence they move from MBOX to PST. Spam Filtration: Outlook compatible PST format supports anti-spamming and anti-phishing email filtration. This is not available in Thunderbird. Hence, users move from Thunderbird to Outlook. Secure and Safer way:Outlook provides an option to create a password on email files for additional security purpose. Language Support: Outlook supports 96 languages whereas Thunderbird supports only 53. This is why many support converting Thunderbird MBOX to Outlook PST. To avail these added features and move emails from MBOX to Outlook PST a MBOX File Converter is needed. Migrate multiple .mbox files at once into a .pst file that can be opened using Outlook. Upload the exported file across platforms to a Windows computer and run it on the MS Outlook application. Does this tool work with Mac OS 10.9 version? No,the MBOX extractor can only work with Macintosh operating system version 10.10 and above. Can this tool repair a corrupted MBOX file? No, this tool can only convert a MBOX file to PST file format. It can not repair a corrupted file. Could you let me know whether this utility is free of viruses, Trojans and other malware? Yes,the tool is safe and secure to use. Just download and install the application to start extracting MBOX files. What Clients Say About the Software?